LILLIAN ''LOUISE'' COE YOUNGSTOWN – Pastor Tom Zimmerman of the White Memorial Wesleyan Methodist Church will officiate at a funeral service on Monday, Feb. 4, at noon at the Kubina-Yuhasz-Wasko Funeral Home in Boardman for Lillian “Louise” Coe, 82, who passed away Jan. 29, at ValleyCare Northside Medical Center. 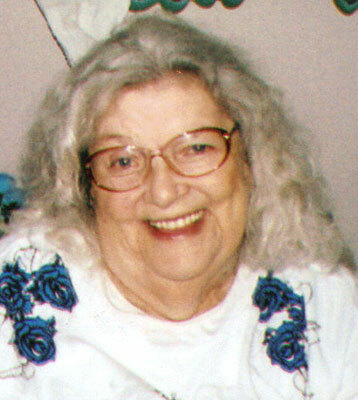 Lillian was born in Youngstown on Nov. 28, 1930, a daughter of Lee and Jessie June Kolat Hubener McNamee. She married her husband, Donald E. Coe Sr. on June 28, 1957, and was a homemaker her entire life. Lillian baked wonderful cookies and was talented in knitting and crocheting. She taught each generation of her family how to do these things, ensuring that her skills will last for many more years to come. She was preceded in death by both her parents and by her brother, Frank Kolat Jr. Cherishing Lillian’s memory are her husband; their son, Don Coe Jr.; granddaughters, Jessica (Rick) Bosly and Erinn Coe; great-grandson, Greyson Bosly; sister, Mary Catherine (Leslie) Kolat; brother, James (Cecelia) McNamee; her close friend, Aunt Mary Kolat; and many other loving family members. Family and friends may call at the funeral home on Sunday, Feb. 3, from 1 to 4 p.m. Interment will take place at Green Haven Memorial Gardens in Austintown. The family would like to express their gratitude to Lillian’s many friends and to the excellent staff of Beeghly Oaks Nursing Home.